Many of our fosters come to us in rough shape: heartworm positive, in need of manners, emaciated... you name it, we’ve seen it. So, it’s always a surprise when a “perfect” foster comes to us from a local shelter. Bob’s foster home could not say enough good things about him. They’ve been long time fosters for GDRNT; so, this is high praise. 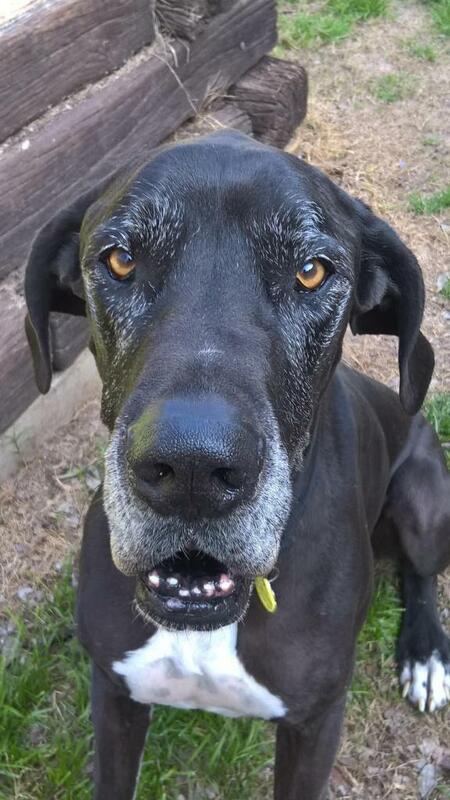 Bob had perfect manners, was eager to please, loved the kiddos, and was an all-around perfect gentleman. The only thing he did not have was a furever home. Sometimes things just come together perfectly. 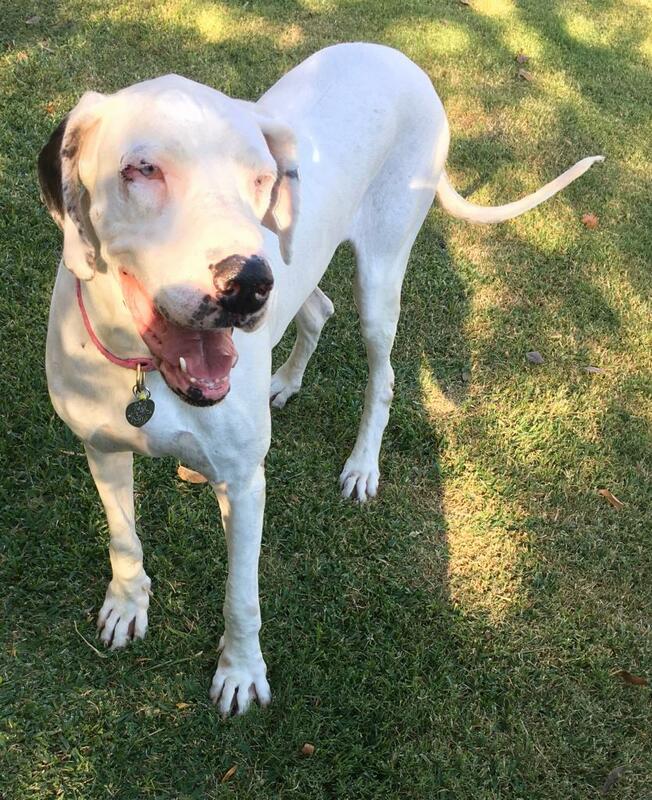 Cheyenne’s foster is also the volunteer who did the home visit for her furever family, and she knew immediately that she’d found the perfect home for Cheyenne. Although our volunteers try to be impartial (we all think we have the best foster ever! ), sometimes you can’t deny the perfect fit. So, she made the suggestion to our adoption coordinator who agreed it was a perfect match! 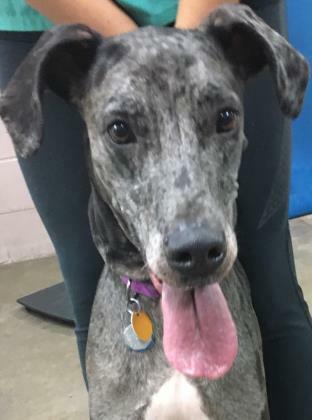 The only obstacle was that Cheyenne was recovering from hookworms and needed to be medically cleared before she could move to her furever home. Read more about A Perfect Fit! 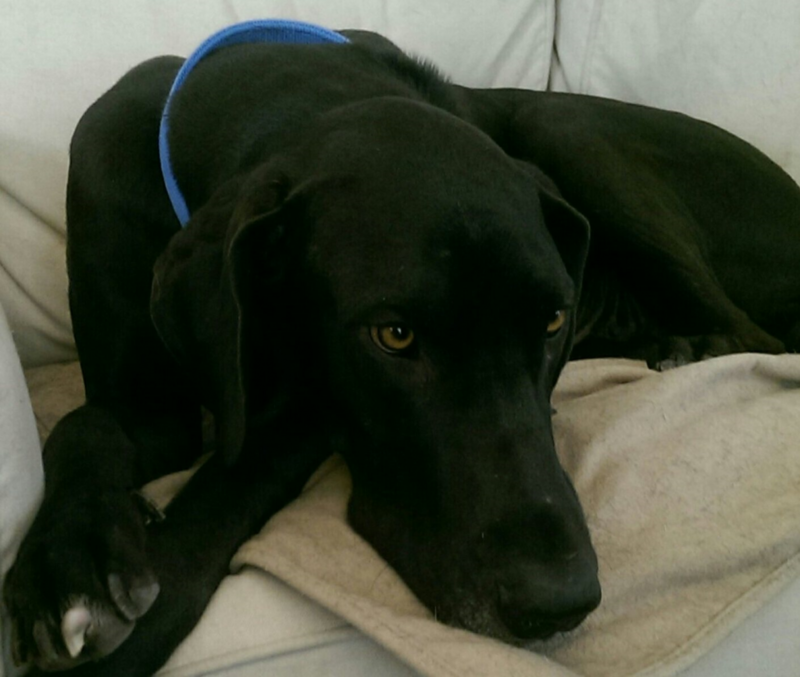 Xena is a young Dane who arrived at rescue heartworm positive, unsure of new situations, and in need of manners. She did well with the other pets in her foster home and flourished under the loving guidance of her foster family. 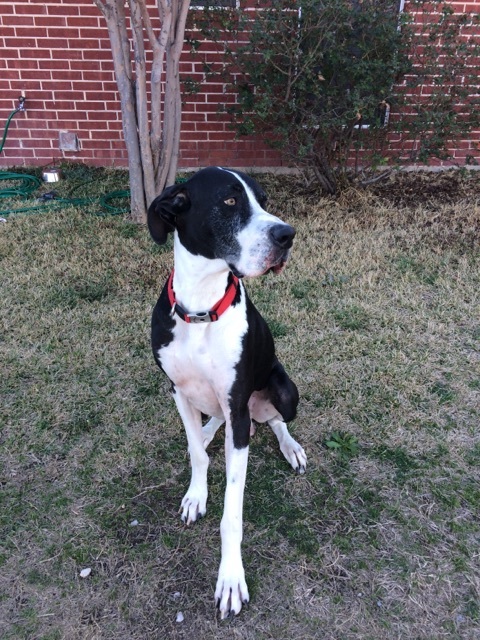 She responded well to heartworm treatment and is now in a wonderful home. 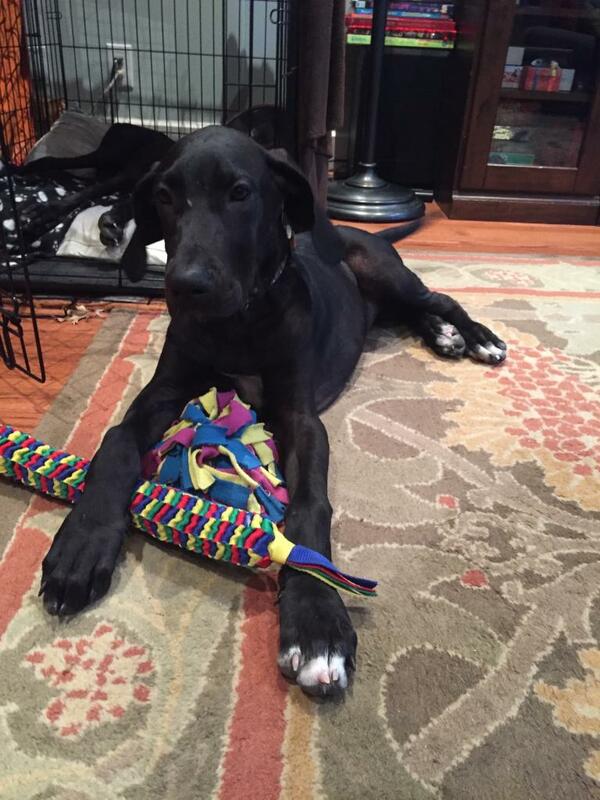 Xena has another Dane to play with and plenty of room to run and play. Most importantly, her family is willing to give her the time she needs to adjust and settle in. Read more about Furever Tails! Read more about Divas, Dudes, and Danes -HUGE Thank you. Lenny came to rescue heartworm positive and with a nasty pressure sore on his leg. 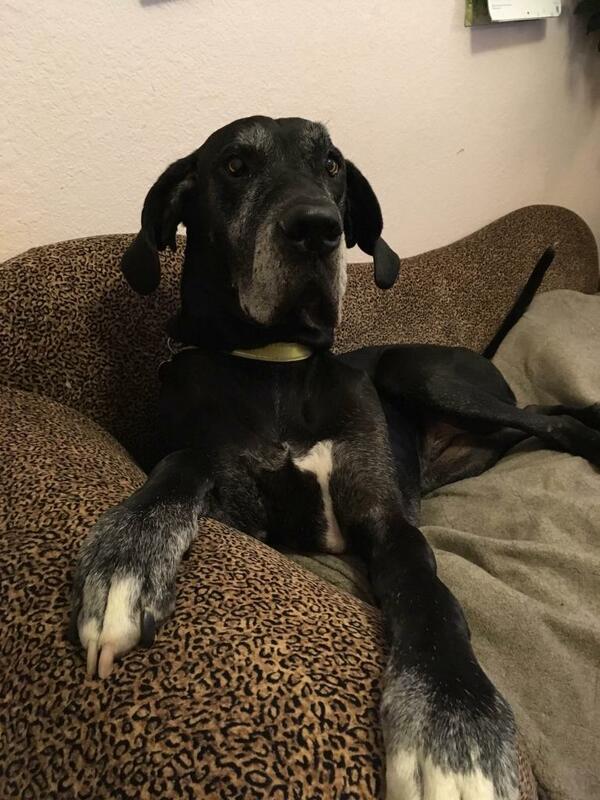 He was a senior Dane in rough shape and needing a lot of TLC. Through the patient care of his foster mom and our veterinarians, he received treatment for the wound and underwent heartworm treatment. His gentle temperament quickly won over his foster mom, and we were all hopeful he would soon find a furever home. Ellie is an energetic, loving puppy who found herself in a shelter when her initial owner became overwhelmed. She wanted badly to please her foster family and began learning how to behave properly while in their care. She was recently matched with a family who is continuing her training. Ellie now has a family to call her own, complete with another dog to help her burn off some of that puppy energy. Congratulations to Ellie and her new family! 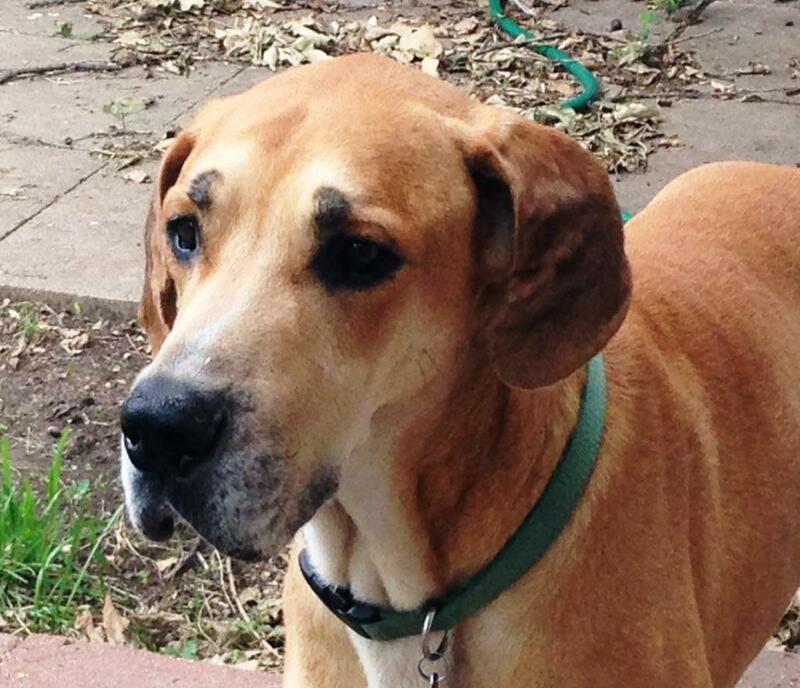 Leo is a sweet dude who took some time to open up to and trust his foster home. Some dogs do well as only dogs, some do well at home alone all day, and others just love to be surrounded by playmates and people. Leo fell into the latter category. He loves his people, loves other dogs, and even does well with kitties. Happily, he gets plenty of time with all three – people, dogs, and kitties – in his furever home. Congratulations to Leo and his furever family!